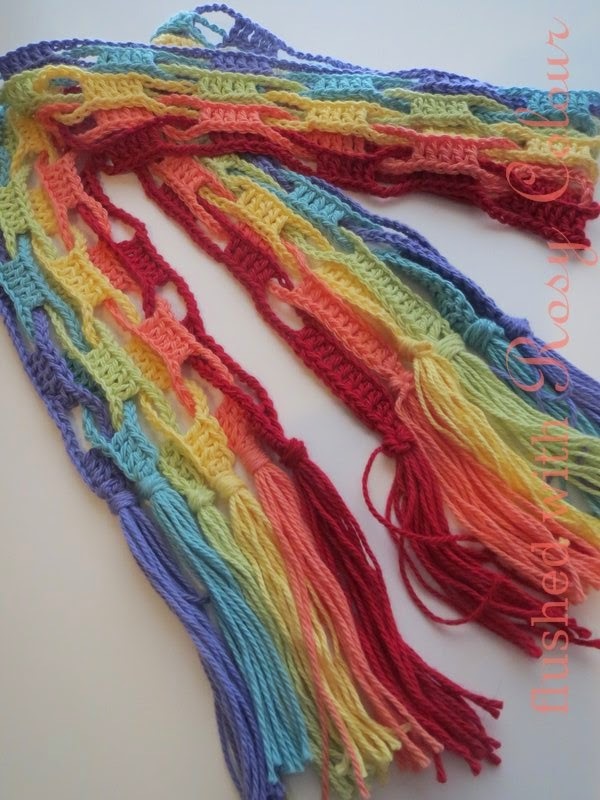 I just finished this scarf I made with my rainbow of cotton colours from Bendigo Woollen Mills. I was inspired by a picture I saw on Facebook which linked back to a pattern on Ravelry. Someone posted in the comments a link to a photo tutorial so once I saw that I decided to have a go. 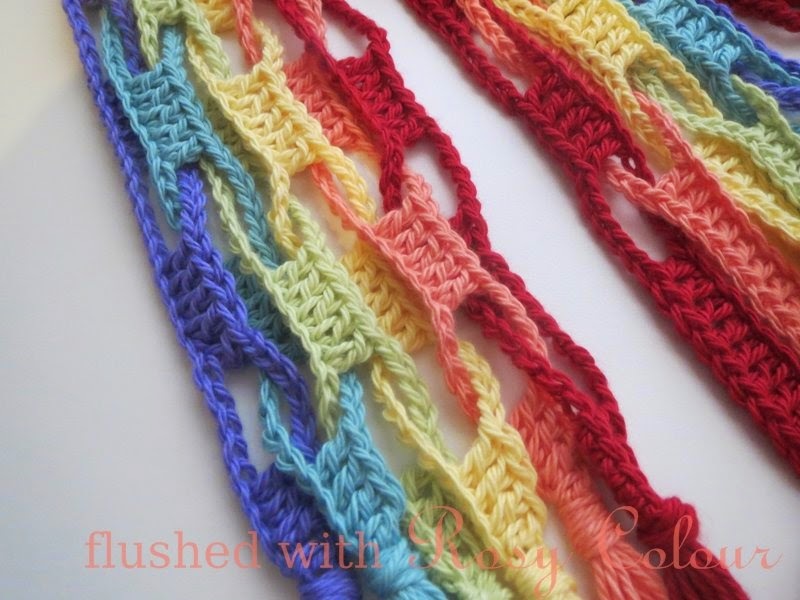 I saw a photo of a rainbow scarf in Russian so thought I'd make a rainbow one as well. I'm really delighted with the result, its made a beautiful scarf. I don't know if I'll ever wear it though - I just have too many scarves! 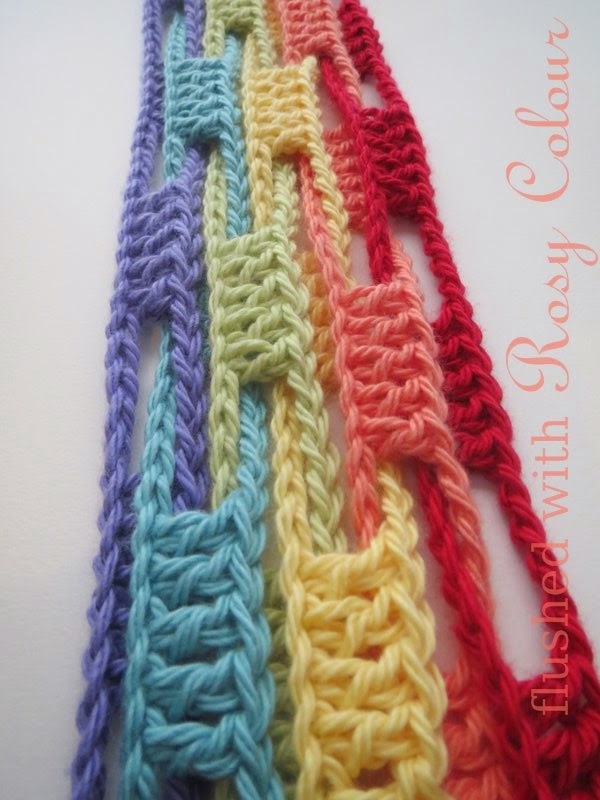 But it was fun to make and I wanted to see how the links chained together like that. 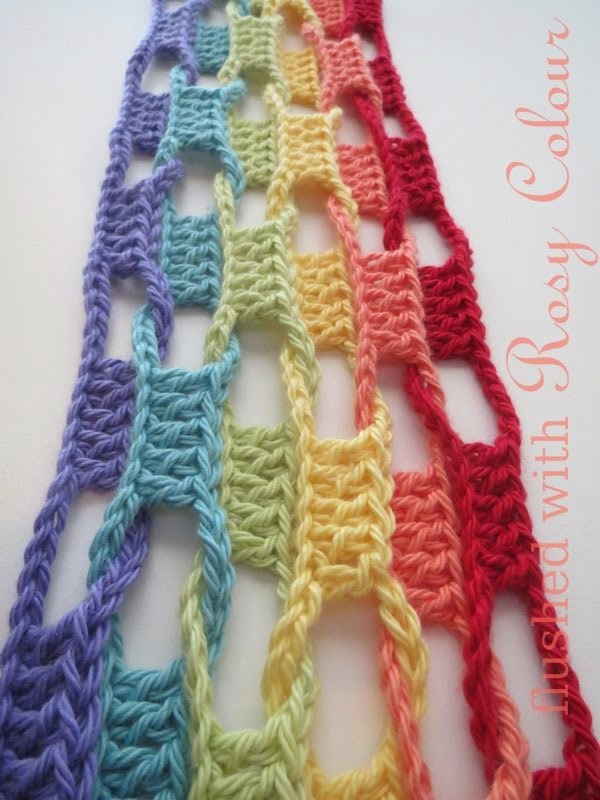 I used 8 ply and a 4mm hook, and I started with chains of 202 like the photo tutorial suggests, but there was an uneven amount of stitches at the end so I should have done 207 or 197 chains to begin with.